The drv board is made of present VIPS/volunteers who have worked in and around Denali National Park as medical professionals and rescue personnel. Volunteer: 2014, 2016, 2017 and 2018. 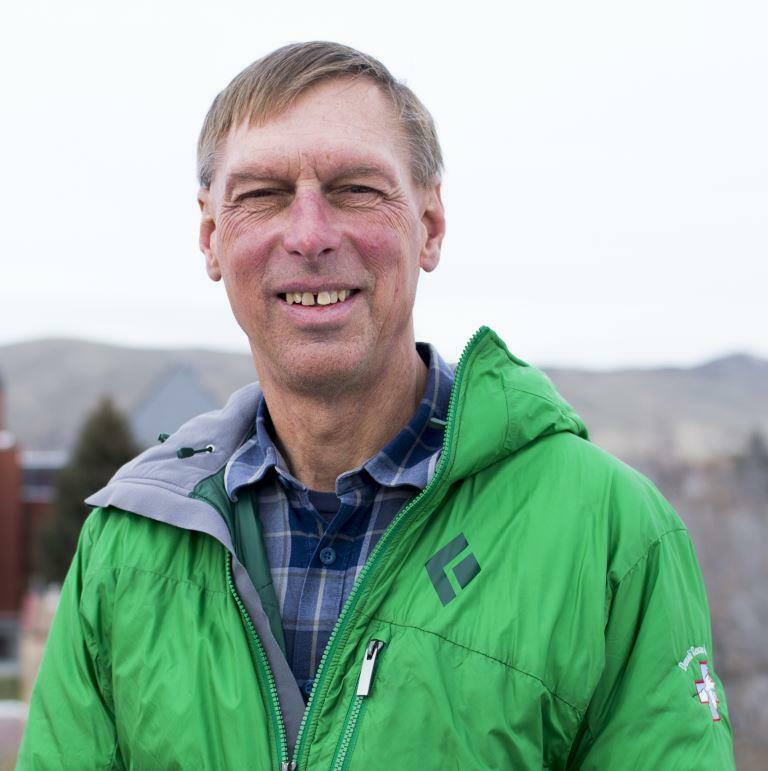 Background/Work: Professor of Chemistry and Climbing Instructor at The University of Montana Western, in Dillon, MT. Director and Instructor at the Khumbu Climbing Center, in Phortse, Nepal, a project of the Alex Lowe Charitable Foundation. Mountain Experience: Raised in the flatlands of northern Indiana, Steve and his wife, Jan, moved to Montana in 1978 and he began climbing in 1981 in the Tetons and has been an active rock, ice, alpine, big wall, and expedition climber ever since, having climbed in North and South America, Europe, and Asia. He summited Denali on his first trip in 1990 and has returned to the Alaska and St. Elias Ranges of Alaska and Canada multiple times since then. In June 2018 on a 14k patrol, the team reached the summit of Denali, 28 years after his earlier ascent. Mountain Experience: Ski expeditions throughout Alaska, Canada, and Wyoming. Rock climbing ascents throughout Canada and the U.S., including The Nose on El Cap. Enjoys time in the mountains with family and friends skiing, climbing, running, rambling around, and picnicking! Mountain Experience: Ben has been a member of the Mt. Hood Meadows Professional Ski Patrol for 5 seasons. The quality training and experience I gained while ski patrolling along with my Avalanche coursework prepared him well for being a VIP on Denali. Background/Work: Neurosurgery and trauma Physician Assistant at Intermountain Medical Center, a guide at Powderbird Helicopter Skiing and a patroller at Alta Ski Area. Mountain Experience: Jenna has been an invaluable member of three National Park Service patrols on the West Buttress as a Denali Rescue Volunteer. Her diverse background has allowed her to fill multiple critical roles during each of her stints as a volunteer. Jenna’s unique skill set is a testament to her dedication to professionalism in a variety of disciplines. Mountain Experience: Amanda grew up in the lowcountry of South Carolina and began rock climbing in the South. Moved west for college and began skiing/climbing classic Pacific Northwest mountains such as Hood, Adams, Whitney and others. Resident of Talkeetna and an Alaska Range explorer including glacier to tundra to river trips from the Ruth, Little Switzerland, Tokosha Mountains and others. Up for any challenge, though the ocean is her true happy place. 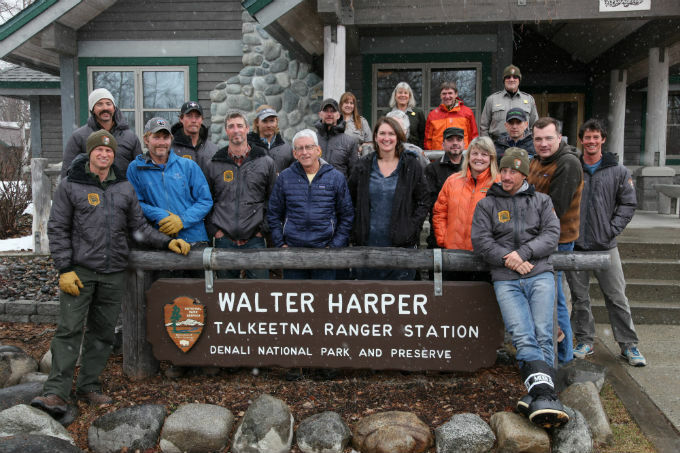 Denali National Park South District Staff: Each Denali VIP works closely with this crew of professionals during their volunteer time. Each of the 10 mountaineering rangers lead a single Denali patrol lasting 30 days and utilizing 3-4 volunteers. Some VIPs serve on shorter patrols to Denali’s Kahiltna basecamp or other climbing areas in the Alaska Range located within Denali National Park. Click below to read about a few recent VIPs/volunteers who have returned for multiple Denali patrols to utilize their skills and expertise.